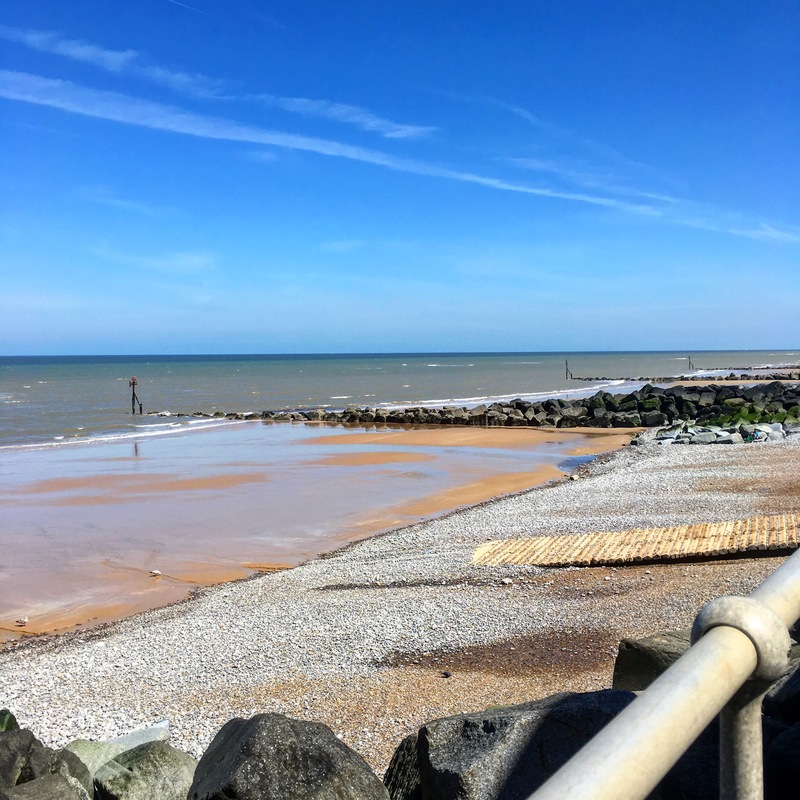 The weather was stunning so I decided to walk the 5(ish) miles along the coast from Sheringham to Cromer. It’s something I have been thinking about doing for a while – but as it says above, “travel procrastinator.” I should change that to “adventure and travel procrastinator” now, as I am always having ideas but no way to actually do them. Sure this was a micro adventure- but it was an adventure none the less. Before I left I did my checks! Make a cup of tea- check! I was all good to go! Sheringham town centre was rather busy- the sun brings all the locals out but as soon as I got down to the prominade it was super quiet. Although all these pictures look like it was beautiful and warm, I can promise you that it was still rather on the cold side. 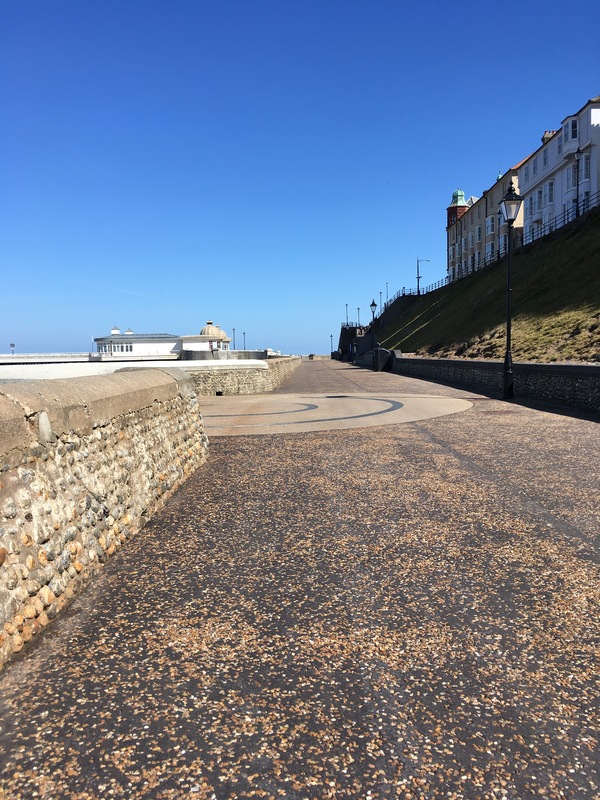 There are two ways you can go about walking from Sheringham to Cromer. Tide willing you can go along the beach, which is what I mainly did. 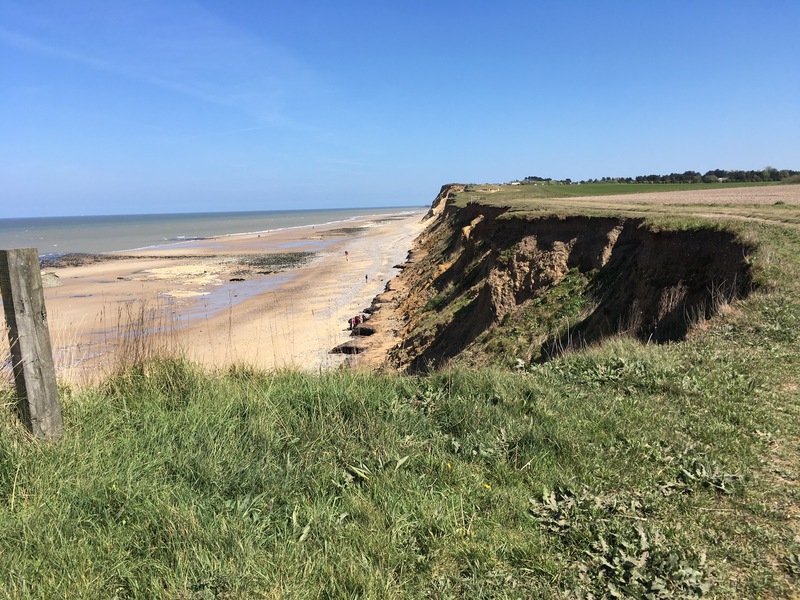 Or you can walk along 80% of the cliff top, up and over Beeston Bump until you get to East Runton. There, the coastal erosion is so bad that you have to take a little diversion along a rather hairy road. But there is a pub along that section of hairy road so you *could* stop for a drink if you wanted. Then it’s back to the cliff top, or back down to the beach which is what I did. But as you can see… hardly a soul in sight. Keeping a slight eye on the tide I took my time and drank my tea as I went. It was a tad breezy and I was walking directly into it, which made sure I wasn’t going anywhere fast. But I didn’t WANT to go anywhere fast so all was good. 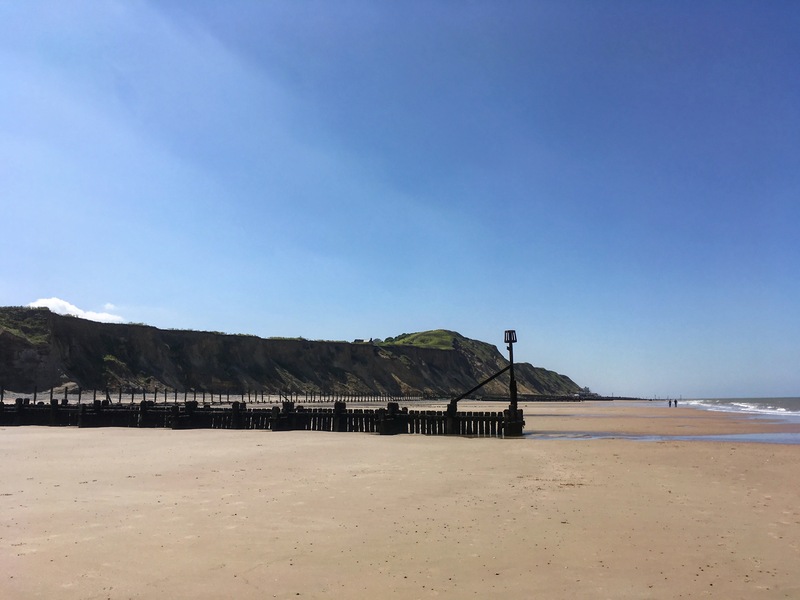 When I got to West Runton I decided to head up the slipway and take it up to the cliff top for a different view. Once up there the wind died down a little and the temperature rocketed… well, rocketed for spring time anywho. I took off a layer and headed along the cliff top. There were many birds up there, playing in the wind and making a racket. I *think* they were Linnet birds, which obviously made me hum Sweeney Todd for that section of the walk. 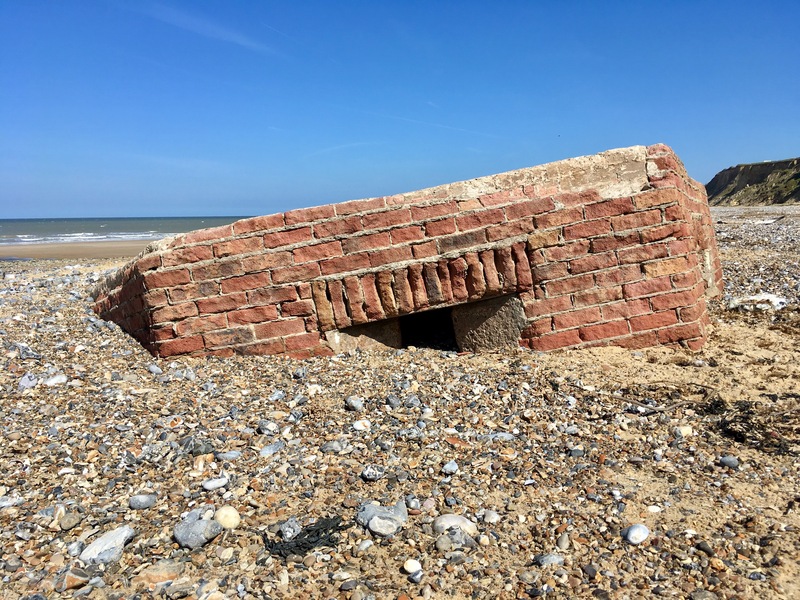 As I mentioned earlier, the cliff erosion around West and East Runton is pretty bad and so they have closed off a section of The Norfolk Coastal Path. 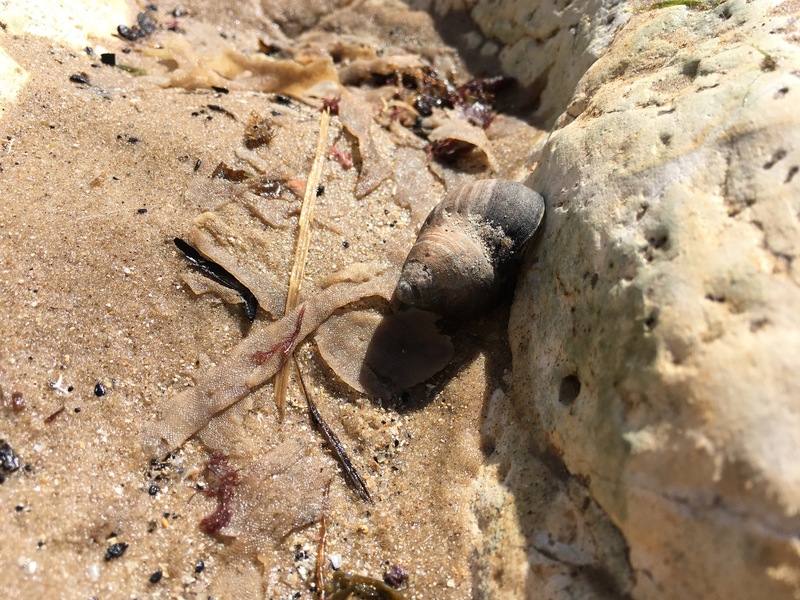 When I got to East Runton I headed back down to the beach to the rock pools for a nosey, all the time trying not to step on these guys. 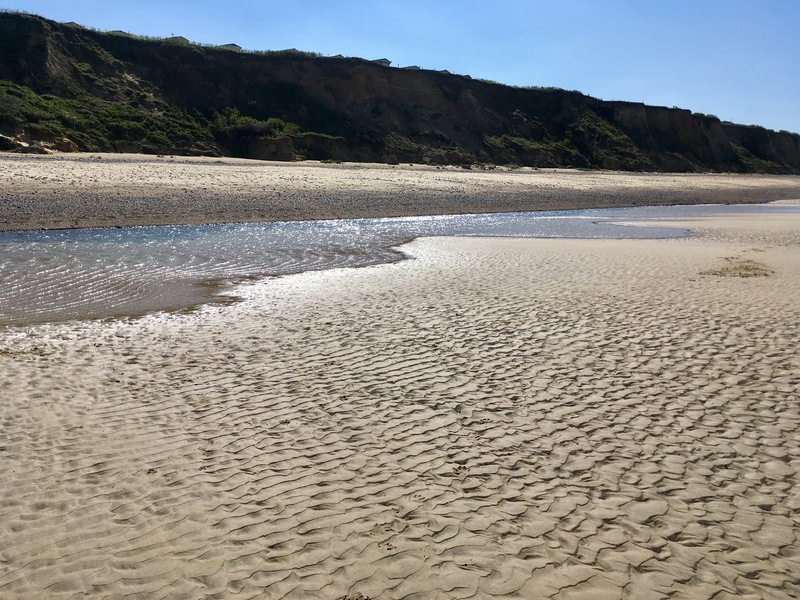 This section of beach was harder to walk along, there were a lot of tidal pools to avoid and the sand was drier so you had to put a bit more effort into your walking. By now I had long run out of tea and was pondering which of Cromers’ many cafe’s I should go to. I could see the famous Cromer Pier in the distance and was dreaming of a cup of coffee. One little surprise as I was walking into Cromer were the Mountain Goats on the cliff. I asked, and apparently they were there last year too. I am not sure how I missed that. They are there to clear the vegetation on the cliff and seem to be doing a pretty good job of it! It was coming up to 3.30 by the time I reached Cromer ( I really took my time) and the promenade was like a ghost town. 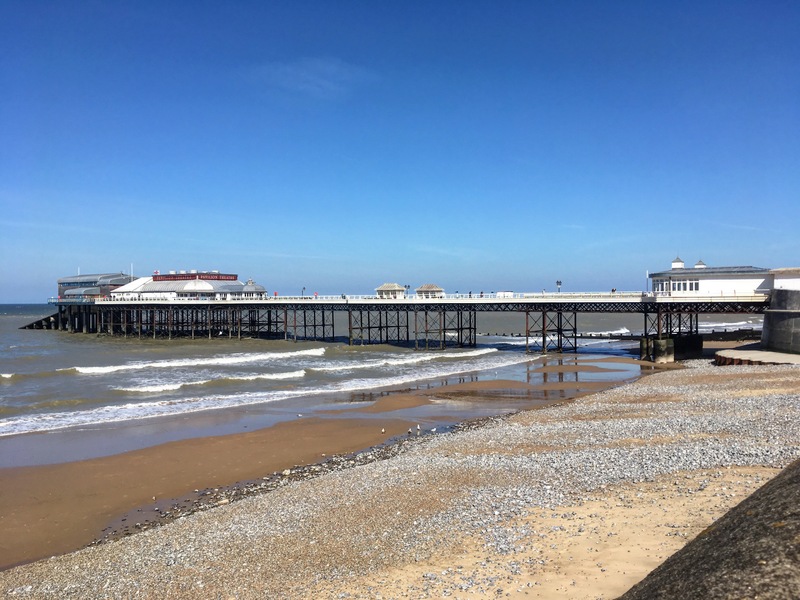 There is a lot of work going on to the amusements and fairground on the front to get them ready for the summer season, which is when Cromer truly comes alive. I headed into town and treated myself to a coffee at Huckleberrys on the main road before catching the train the west of the way home. This walk was exactly what I needed, it blew ALL the cobwebs away and reminded me that I don’t need to go far to have an adventure. It has, of course, done nothing for my wanderlust, and I am already looking at next weeks rota to see if I have a day I can walk again, maybe this time North. I love camping and am already planning a few nights out in the summer, and this walk totally just cemented the idea. The only issue I have with this is that I will most likely be going on my own. The being on my own I don’t mind at all- but carrying all the stuff I will need…. nightmare! MarGins Walking and Glamping Holidays are my other option for this. I heard about them earlier on in the year when they were handing out flyers and put some where I work. They instantly grabbed my attention. Even though I love camping and the roughing it that comes with, when you go on your own like I said above, it is A LOT of stuff to lug about on your back whilst you are walking. That is where they come in! You do the walking, taking in the beautiful coastline and they go on ahead and set up the tents each day. The tent they use is the Oztent and as well as being spacious they survive any strong winds on the coast! “There is a separate sleeping compartment with 2 Oztent padded camp-beds and cosy duvets plus a living area with a small equipped cooking area and comfy chairs.” They supply you with a hamper for breakfast, and when you are on your way they come along, pack up and move on to the next site – with your belongings too. So yes- expect more posts like this in the future. I am making the most of being back up in Norfolk. It’s a beautiful place to live and I realise how lucky I am to have this right on my doorstep! It is also fun, good for you and FREE! Which I need a lot more in my life at the moment! Next Post Summer. Autumn. Winter. Spring.